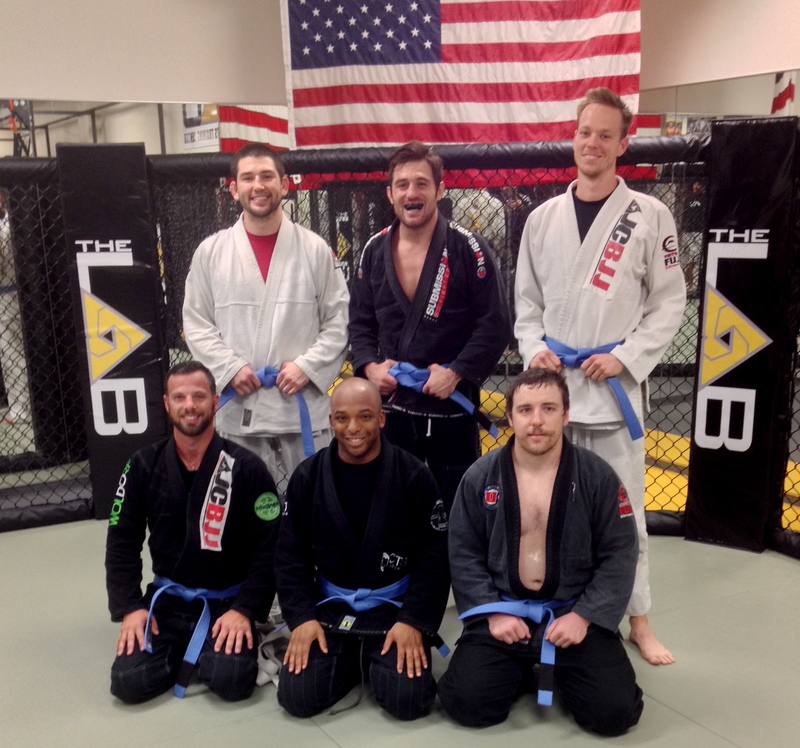 Tonight, after a fun class at the MMA Lab, six young men were promoted to Blue Belt. We are so proud of these guys, and feel very lucky to have them as part of our team. Congratulations boys, well earned! This entry was posted on Tuesday, November 5th, 2013 at 12:16 am	and posted in News. You can follow any responses to this entry through the RSS 2.0 feed. « Congratulations Joe Riggs; Fight Master Champion!